The current 2012 Masters Betting Odds are clearly rooting for a ratings goldmine at Augusta with Tiger Woods and Rory McElroy atop the ladder. Just behind them is Phil Mickelson, who trampled Woods at Pebble Beach with a 64 on the final day. But, etween the three, only McIlroy has won any of the last four majors, although Tiger’s near-triumphant rally in Georgia’s Garden last year could have put him on that list. But behind all the fanfae, there’s a second tier of golfers sneaking up on the pack that could make some real noise this weekend. Among them is American Hunter Mahan, who has slowly put together some of his better rounds and turning a good season into a really good one. He captured the Houston Open last week just after stomping through the WGC-Accenture Match Play. In doing so, he showed the mental toughness he will undoubtedly need through four rounds of the most-grueling course America has to offer. Steve Stricker is another name that nobody has missed because of his precision on the greens. The World’s No. 5 golfer is 3rd in greens in regulation. But still, swept under the rug seem to be Adam Scott and Jason Day, two of the world’s premier golfers who did something neither Woods, McIlroy or Mickelson did at last year’s Masters: finish inside the top three. Now, we’re not saying Scott or Day will win the thing, and there are still aspects that aren’t so condusive to their games. But there’s a really good shot one of them will be in the top-3 again this year with all the attention elsewhere. Between the group, Mahan is actually getting the best odds to finish highest on the leaderboard (although not necessarily winning), at +300, according to Masters Odds at Bovada. Behind him are Stricker, Day and Scott (all at +350). Another name who could sneak past all of them is Matt Kuchar, the darkhorse who has been targeted with a high-ceiling for years. He’s had three-straight top-10 finishes at the Masters and is an intriguing value to win the whole tournament at 50/1. So his odds to finish highest among the aforementioned group (+400) is tempting. 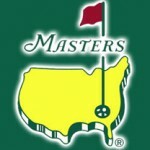 This entry was posted in The Masters Future Odds and tagged 2012 masters prop odds, masters betting odds, masters prop odds on April 4, 2012 by Bryan.